We clearly are living in an electronic world these days, and a large portion of our interaction and communication happens online via social media or email. However, in certain instances, there is nothing like a paper product. It can provide a kind of longevity and sentiment. Additionally, certain kinds of information are best conveyed in print. And printed materials provide an all-around eye appeal that few electronic images can. 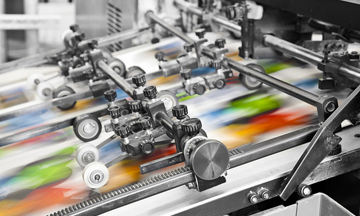 Creating amazing printed products is easier than you may think. Thanks to the best publishing software on the market, it is simple to create colorful and attractive paper items. Whether you want to promote your business, let people know about a special event or advertise a cause you find worthwhile, sometimes paper is the best way to go. 1. Banners: How else are you going to sell cookies at the school bake sale or advertise that Boy Scout car wash without a big, snazzy banner to draw in customers? Emails are great and newsletters are helpful, but these work only if you already have a list of people who can receive them. If you want to catch the eye of someone who is not on your radar but who might part with cash for a worthy cause, there's nothing like a banner to pull in business. Some things never go out of style. 2.	Business cards: Electronic bar code business cards are becoming trendy, but most people still have a trusty physical card to distribute. In certain cultures and countries, such as Japan, the card's appearance and the way you present it are extraordinarily important when it comes to making a positive impression. It never hurts to have a few with you just in case. You never know when you'll be standing in line and discover that the guy in front of you is Warren Buffett. 3. Invitations: You know, an emailed wedding invitation doesn't tell guests you are modern and amazing. It really suggests you simply don't care all that much and you might as well just run off to Vegas. Old-fashioned good manners come into play here. When it comes to life-changing celebrations like weddings, baptisms or milestone anniversary parties for your folks, a little tradition is a good thing. Go ahead and spring for the attractive paper and envelopes. 4. Stationery: It never hurts to have customized stationery sets at the ready. This is particularly true if you are a small business owner. When you use stationery with your company's logo and letterhead, it keeps your business correspondence looking crisp and professional and gives the impression – perhaps delivered subliminally – that your company is here to stay. 5. Menus: A few chic restaurants actually have electronic tablets at their tables that you can use to tap in your order, but in most eateries, ranging from Joe's Diner to D'Angelo's Ristorante, the host is more likely to hand you a physical menu. If you're in the food business, you can make your menu look great with desktop publishing software. The first impression created by your menu's design contributes to your customers' experience, and that experience can result in repeat customers and long-term revenues. 6. Certificates: Some people might sneer, but there are individuals with walls covered with framed physical reminders of things they have accomplished. And why not? If you've worked hard and achieved something, keep those certificates around as happy reminders of jobs well done. 7. Brochures: If you've ever attended a trade show, you know the importance of brochures. A colorful, informative leaflet that's easily stuck into a purse or pocket may prove priceless. After the trade show is over, when a weary attendee is bored on the plane flying home, he or she could easily pull out your brochure and read all about your company. 8. Resumes: Just like business cards, the electronic variety is gaining ground. However, it never hurts to keep a well-formatted and up-to-date hard copy on hand. There's a grim reality at work here: You never know when you might need it. If you'd rather take a more positive (or perhaps superstitious) view, look at it this way – if you always have a current resume available, you probably won't need it. 9. Newsletters: Whether you work for a non-profit organization or a Fortune 500 company, if you want to reach out to others, sometimes the U.S. Postal Service is the way to go. Depending on the demographic you want to reach, a well-designed newsletter could be just what a particular type of client prefers. 10. Postcards: In an era when the economy is still in tough shape, these sturdy little retro tools are inexpensive to send. And for certain purposes, they are surprisingly effective marketing tools. If you design postcards to be eye-catching and entertaining as well as informative, people might hang on to them just for fun. Ultimately, your novel postcard could end up attracting business.